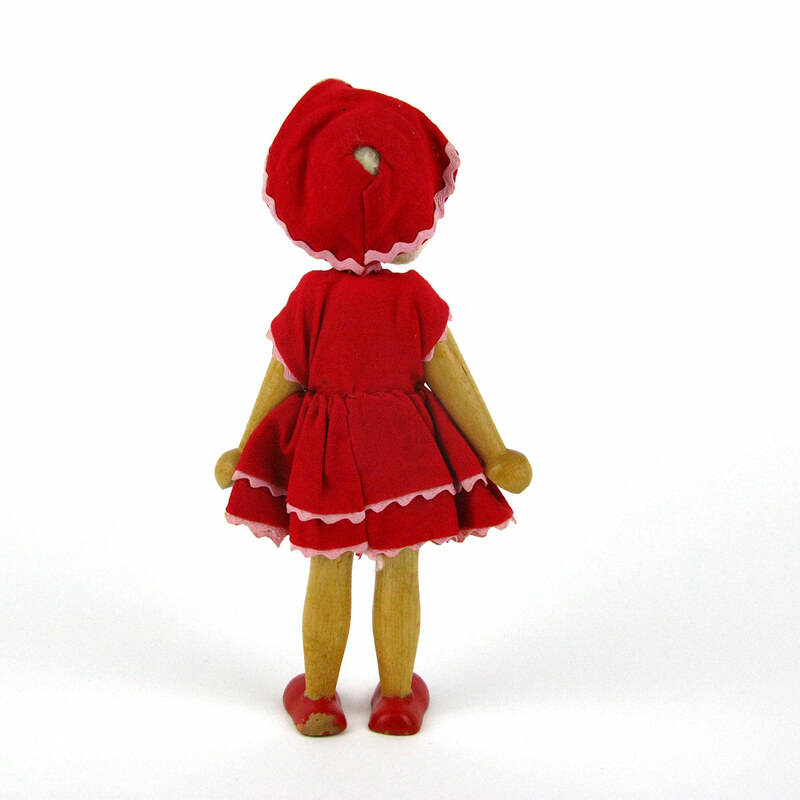 A cute vintage wooden doll in a red dress and bonnet. 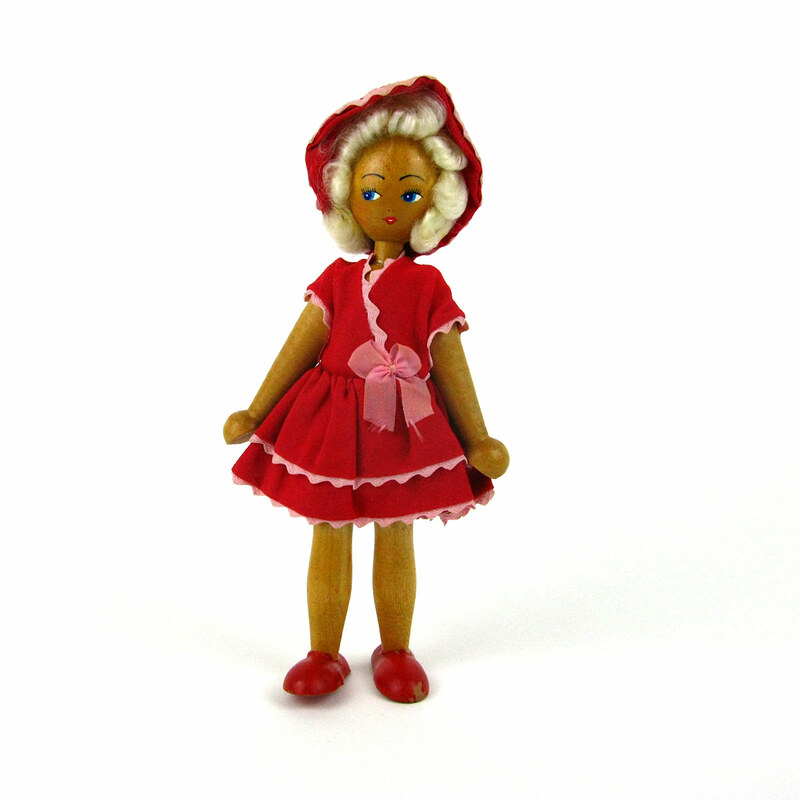 This little lady is so cute in her red dress and matching bonnet. 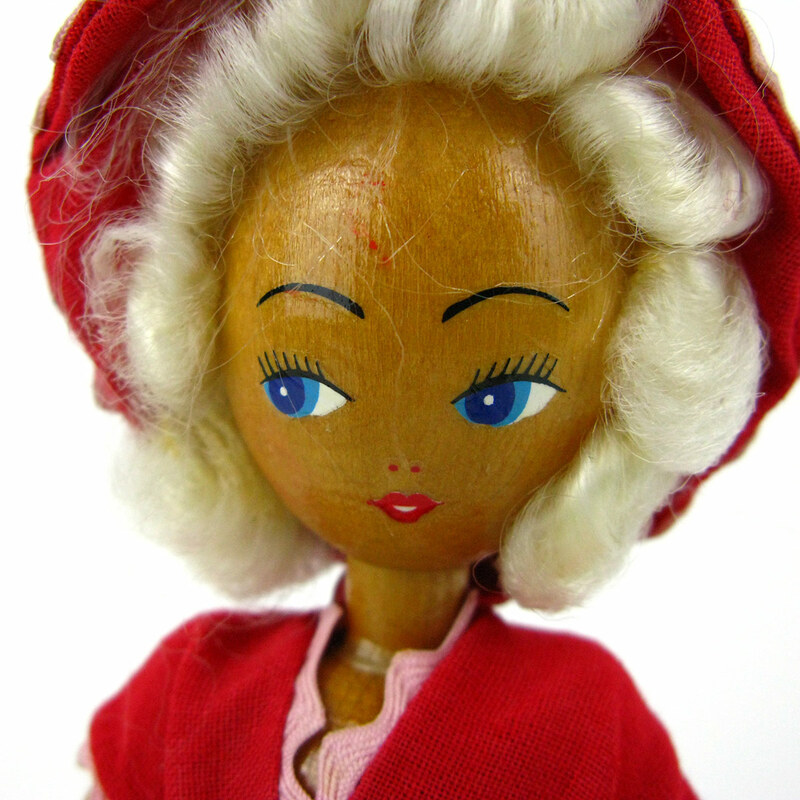 She has lovely curly blonde hair and pink trimmings on her dress. 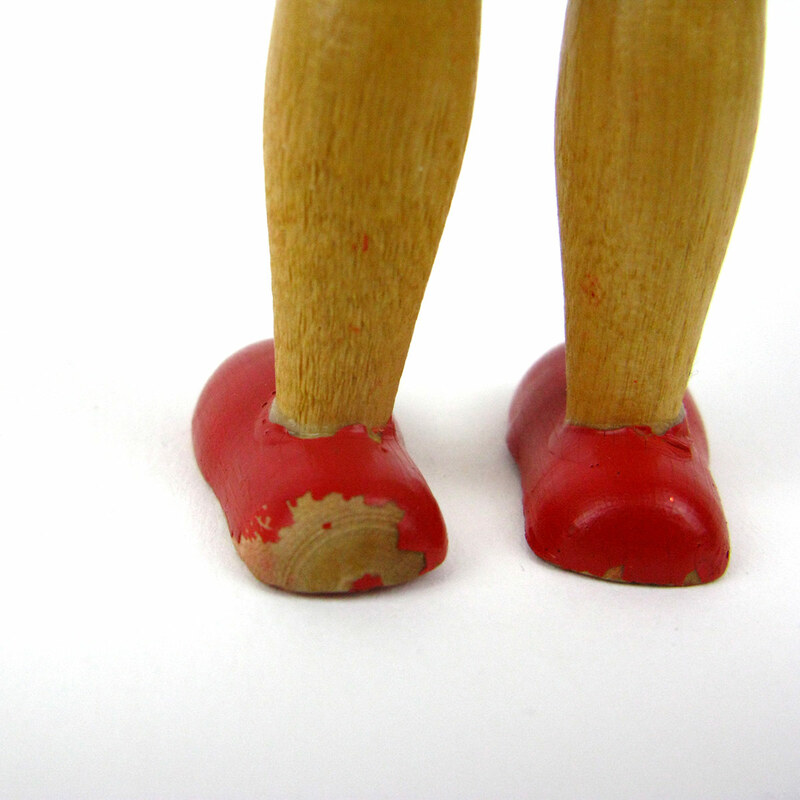 The red paint of one of her shoes has come off – nothing terrible but worth mentioning.